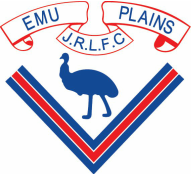 The Pesle Dicker Shield was founded in 2011 and began as a competition between the Emu Plains and St Marys A-Grade sides. In 2016, the Shield evolved to become an Under 9s Gala Day open to teams from within and beyond the Penrith district. The Shield is played in memory of two club stalwarts from the Emu Plains and St Marys clubs. John Pesle from Emu Plains and Tony Dicker from St Marys were both long serving committee members and their children and grandchildren are still strongly connected to their respective clubs. The Pesle Dicker Shield is played in honour of these two men who gave so much to their communities. 15The link for lodging an expression of interest can be found at the bottom of this page. There will be two conferences with a Trophy and a Plate final to be played after all round robin matches. No BBQs are to be used other than those supplied by Emu Plains staff. No Alcohol to be consumed at the grounds. Swearing and bad behaviour will not be tolerated. Offenders may be asked to leave. All games will be 15 minutes one-way with no halftime. All games will start at 9:00am and every 20 minutes after that. No time off for injuries. Unlimited interchange will apply. Maximum 15 players per team. Number of games played in regular pool games will depend on number of teams in each pool. A draw will be released before the gala day. There will be pools for the Trophy and Plate conferences with the winners and runners up in each pool staying on for the semis and final. 1. Click here to lodge your expression of interest. Final gala day information and pool draws will be sent to team organisers before 31st August.